Patti volunteers four mornings each week while her granddaughter attends preschool. She does a lot of preparation work for staff and does it quickly and well. She also takes some projects home. She helps in the library by shelving books, works with K-2 students on reading skills, and sorts the birthday pencils every month. She has volunteered as a hearing runner, with the winter wonderland celebration, and during America Reads Day. Staff and students truly appreciate how much she does for the school community. Each family will rotate through a dinner station, a presentation form the Science Station, an interactive presentation from the Harding Future Cities team, and a station to learn about and see live bees (in a safe, enclosed, no-sting way)! The Spring Carnival is THURSDAY, May 22, 2014 from 5pm-7pm. Click the picture for our Carnival page! Get your book signed by the author! 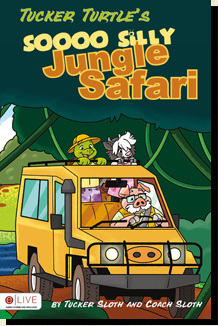 Check out the book order form in Purple Folder Materials. Ryan Sloth is a former Iowa State and Iowa Barnstormers football player and coach who has transitioned into a career writing children’s books with his Sammy Sloth character and touring the country as a speaker. Ryan played for the Cyclones from 1997 to 2000 and helped ISU reach their first bowl game since 1978. When not writing, Ryan also makes time to appear in a variety of movies and TV shows as an extra. Some of his latest movies were The Amazing Spider-Man and The Dark Knight Rises. Mr. Paulson is starting a running club for all students (K-5th Grade) at Nixon. Parents and students can participate together! Students will learn proper stretching, pacing themselves while running, and they will have fun! Students are required to wear appropriate shoes (sneakers) to participate. Cancellations will be announced by 2pm on the scheduled day (RAIN!) Please return permission forms to Mr. Paulson by Frida, March 14. Shrinking budgets. Increasing class sizes. Government mandates. The challenges of delivering quality education are daunting. There is help. It’s the PTA. 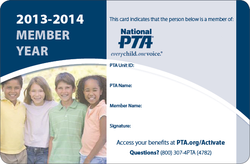 PTA addresses issues that are important to parents and public schools. We fight for full funding, quality teachers, and capabilities for schools to thrive. More than 85 research studies conducted over the past 30 years prove that kids do better when parents are involved. Grades are higher. Test scores improve. Attendance increases. PTAs focus on what students need to be successful in their learning, including nutrition, health, school safety, physical fitness and general well-being. 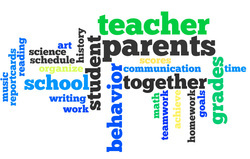 PTA works with schools to ensure that children succeed. Please join us! 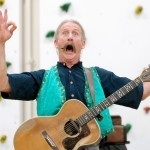 Tom Pease is giving a family friendly performance on Friday, April 4, 2014 at the Downtown Library as part of the State PTA Convention. 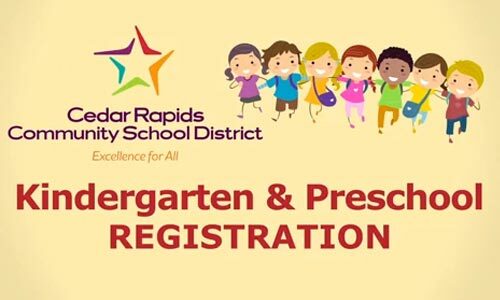 Click on the picture above to be taken to the District web page for Kindergarten and Preschool Registration. This year the school worked with the Title 1 Committee and the PTA to make a math focused Parent's Breakfast. Students learned math based card games, played math based computer games, and enjoyed breakfast with their parents. 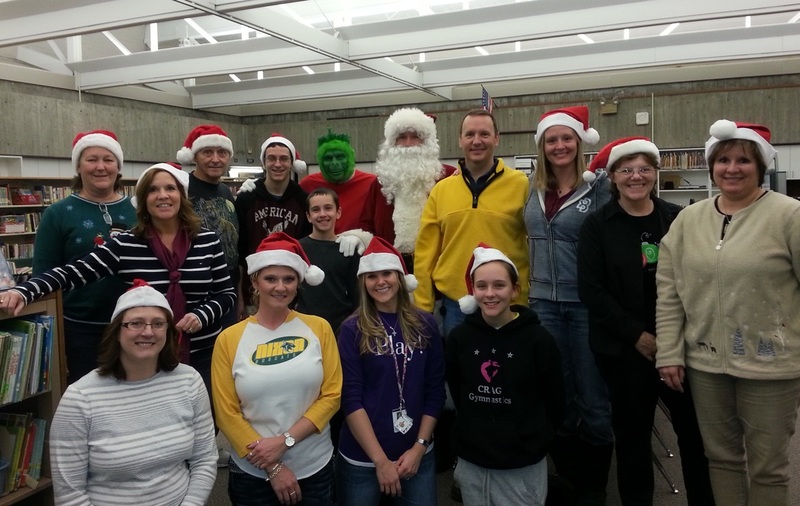 A big THANK YOU to our Winter Wonderland Volunteers! 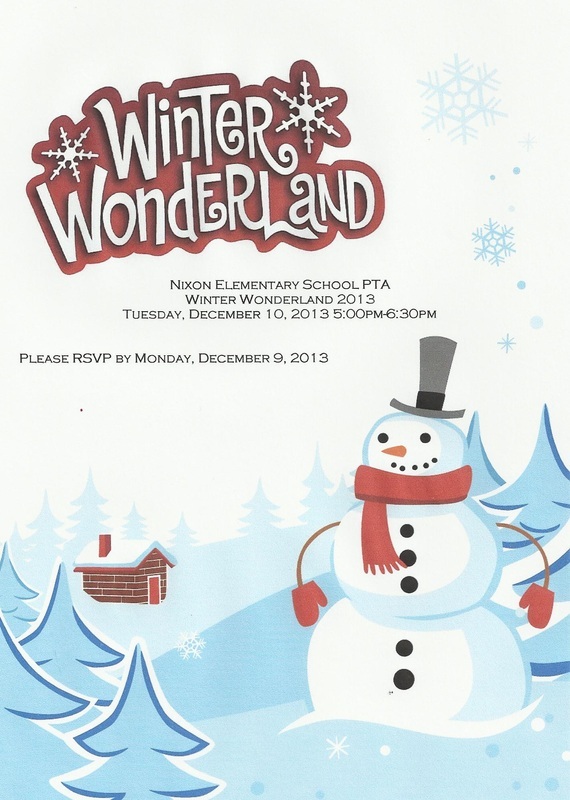 Over 300 visit Nixon's Winter Wonderland! This year Winter Wonderland had six activity stations for families to visit. Santa and The Grinch were visiting in the library, cookies were decorated in the cafeteria, ornaments were made in the art room, coloring contests and games were in the gym, and carols were sung in the music room. Mrs. A'Hearn jumped for joy when the PTA surprised her with a new Yamaha Clavinova for the music program at Nixon. The school's traditional pianos were no longer playing properly. The PTA was asked to help. They voted unanimously to make this purchase for our school. Thank you to our PTA members, parents, and supporters! 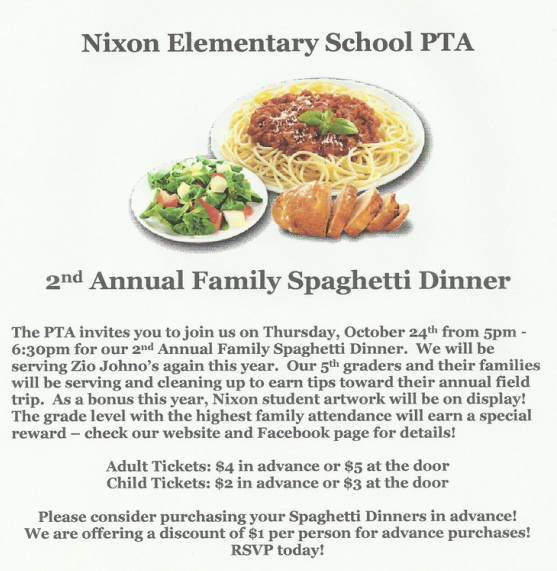 Your contributions to PTA fundraisers are making a difference at our school! 2nd Annual Family Spaghetti Dinner Enjoyed by 300! School of Excellence Family Survey is here! Please take a few minutes to answer our brief survey. 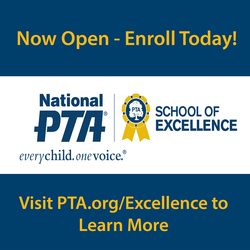 The PTA is working with our school and the National PTA to improve partnerships between families and schools to enrich the educational experience and overall well-being of all students. Let's make Nixon a School of Excellence for the 2013-2014 School Year! 2013 Blue Shirt Day ~ GO BOBCATS! Parent/Teacher Conferences are quickly approaching. 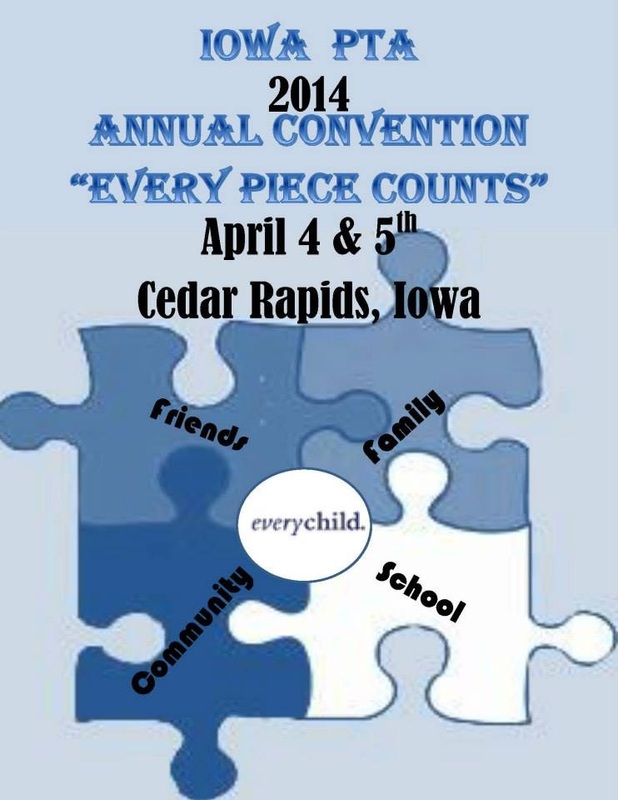 Conferences will be scheduled by teachers for Thursday, November 14, 2013 and Tuesday, November 19, 2013. Please remember that conferences will be student led and your child will need to be in attendance at the conference with you. We look forward to seeing you in November! 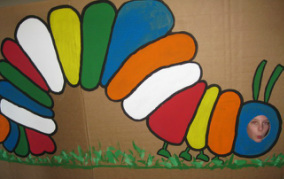 Use this link to order your child's custom artwork keepsakes! The nine digit code on your child's order form will access their artwork. 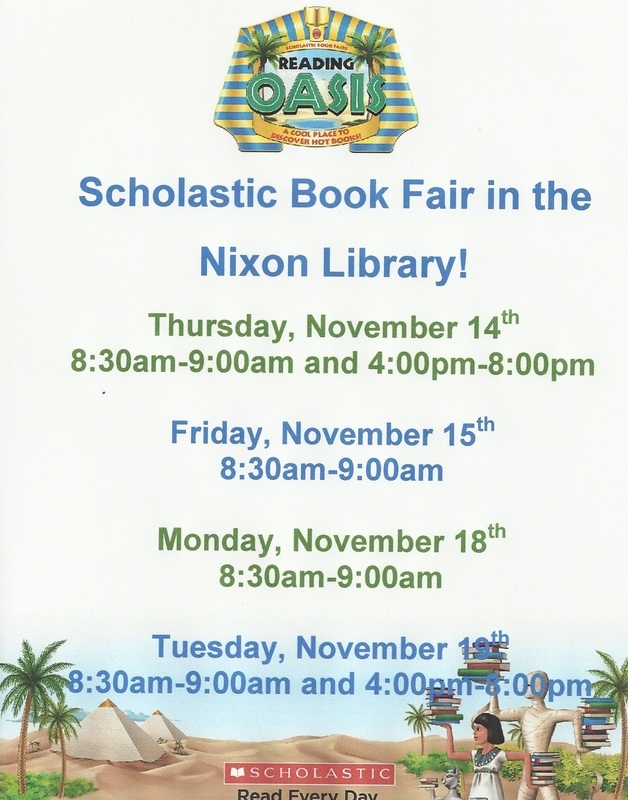 Thank you for supporting this fundraisNixon Elementary School! VOTE NOW FOR NIXON ELEMENTARY! OUR ZIP CODE IS 52233. Advance Ticket Sales Due by Wednesday, October 23, 2013. Wear your BLUE SHIRT and join us in solidarity to stop bullying and cyberbullying on Monday, October 7th! 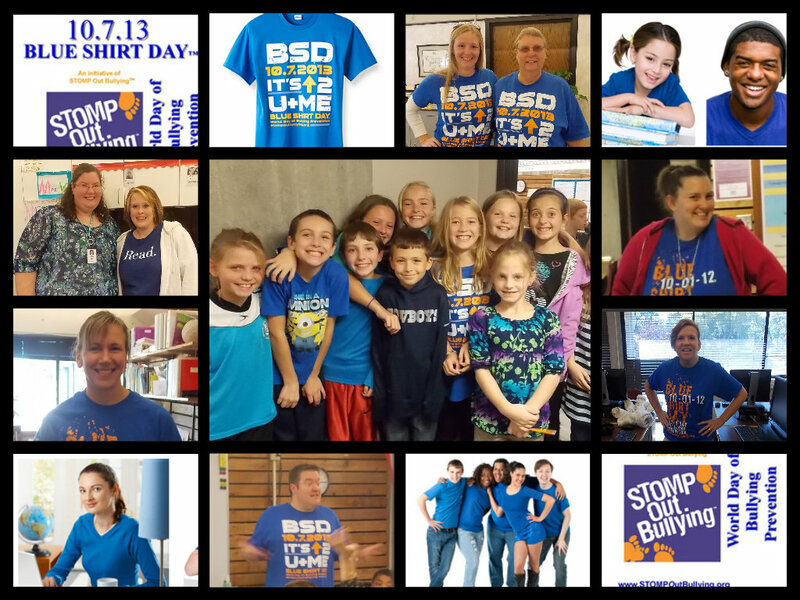 Drive awareness of anti bullying programs and STOMP out bullying around the world! On the first Monday of every October -- this year on Monday, October 7, 2013 -- we’re asking kids, teens and adults to participate in BLUE SHIRT DAY™ WORLD DAY OF BULLYING PREVENTION by wearing a BLUE SHIRT. The 2013-2014 School Year is Here! Please use the link below to access the current school supplies list. Also, please remember to use PowerSchool register your returning student for the upcoming school year. We hope you are enjoying your summer and look forward to seeing all of you soon! 2013 Spring Carnival - Great Family Fun! Thank you to all our wonderful volunteers for making this year's carnival the best yet! PTA Secretary Amy Thye receiving the Cash 4 Students check from Hy-Vee! Thank you for turning in your Hy-Vee receipts! Thanks to all of our parents and students for turning in your receipts this year! 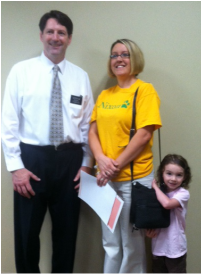 Nixon will receive $465.00 from Hy-Vee for collecting $93,042.56 in total receipts! WOW! Great job! Start saving those summer receipts - Hy-Vee has decided to continue the Cash 4 Students program next year! Title 1 Non-Fiction Activity Night: A Huge Success! Special thanks to our teachers and staff, the Becker family, Mr. Frank Helsell, Rockwell Collins, and Little Caesar's Pizza for making this event so special! Pizza, snakes, rockets, and books were enjoyed by all. Please enjoy the pictures of this amazing evening's activities. Congratulations to Nixon Elementary School's Volunteer of the Year! Deb Hanson is Nixon's Volunteer of the Year! 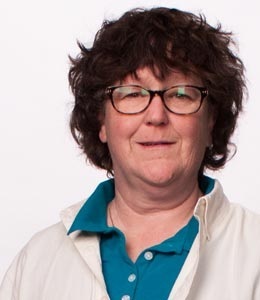 Deb has been a reliable and visible volunteer for several years, and whenever a project needs to be done for a classroom, she is the first to step up. She donates her time for field trips, book fairs, popcorn popping, stuffing envelopes, and helping at special events. She is the events coordinator for the PTA Board, and coordinated the Winter Wonderland family event this year. She is now planning the fifth grade promotion celebration. Deb’s last child is moving to middle school next year, and she will truly be missed. Our Spring Carnival is just around the corner and we need your help! Parents please check out the opportunities for volunteering and item donation on our Volunteer Opportunities page and our Carnival 2013 page. There will be four stations for parents and children to visit. 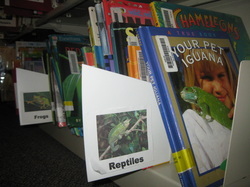 Have dinner, visit live reptiles and get your picture taken, check out the Rockwell activity station, and get a new non-fiction book to take home!